It’s paramount that you train to a fare thee well with the same ammunition which you would stake your life on. Any surprise in your defense load’s performance is certainly going to be an unwelcome one should you ever be forced to draw your weapon. 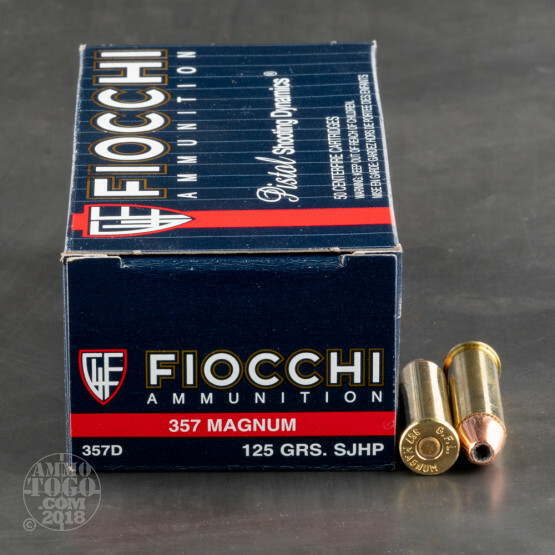 With this 357 Magnum cartridge from Fiocchi, you’ll be able to thoroughly familiarize yourself with how your pistol is going to behave before you must rely on it. 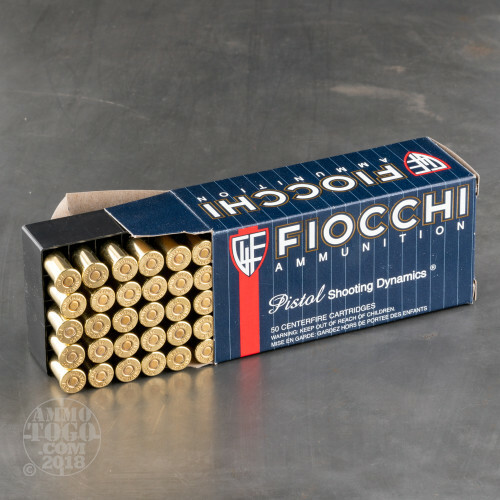 This cartridge features a 125 grain projectile, the most popular bullet weight for self-defense in its caliber. The bullet’s partial jacket not only assures that it will be able to penetrate a target, but also controls the expansion created by its hollow point. Its bullet’s jacket further suits this round for heavy training where you wouldn’t want your handgun’s accuracy to gradually diminish as the result of lead fouling. 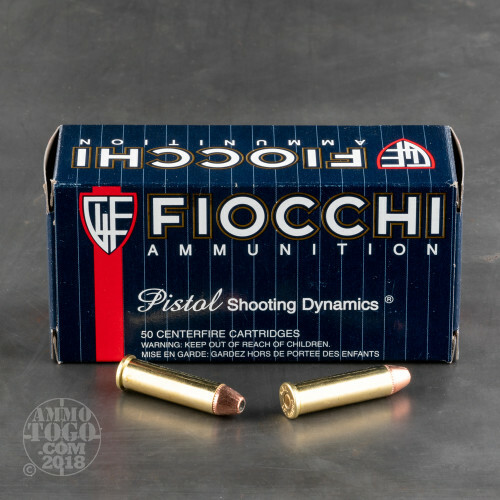 Fiocchi produces most of the centerfire ammunition that they sell in our country at their Ozark, MO facility, so this round represents Italian engineering and American know-how alike. 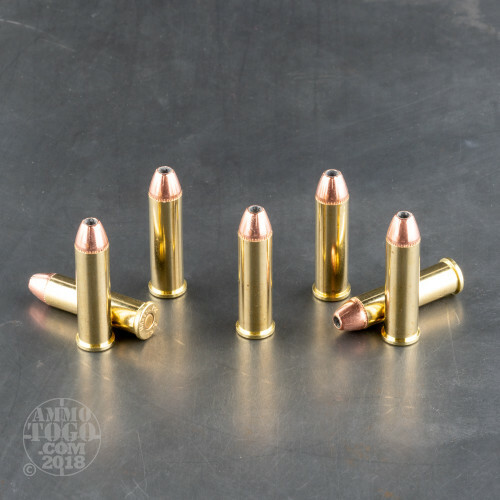 Its brass casing is ideal for reloading projects, and its primer is sensitive enough to assure you won’t be left high and dry when you need to fire a shot.